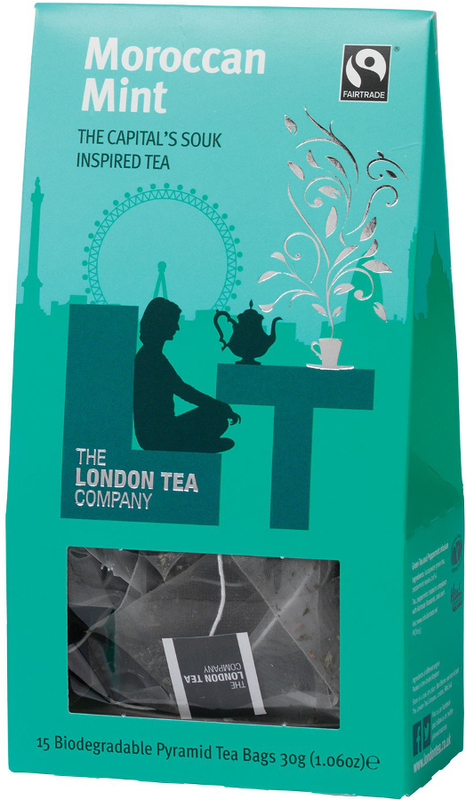 This Moroccan mint tea from the London Tea Company is a marvellous way to unwind after a long day’s work. The gunpowder tea and peppermint blend together well with the boiling water thanks to a practical pyramid shaped bag, which allows more space for bigger leaves and better contact with the water. This helps bring out the bold flavour of the tea for a strong, yet soothing brew. 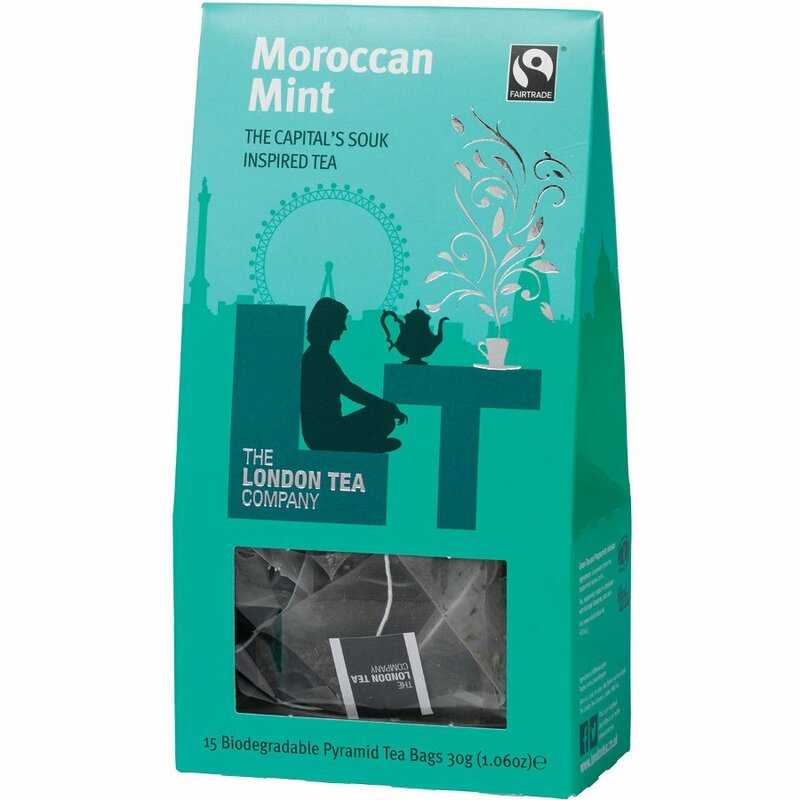 The tea used is 100% certified FairTrade and is free of all nasty artificial flavourings; creating an authentic mug of Moroccan mint with every brew. The London Tea Company Fairtrade Moroccan Mint Pyramid Tea - 15 bags product ethics are indicated below. To learn more about these product ethics and to see related products, follow the links below. Q: Are the bags compostable? Or are they the type that contain plastic?